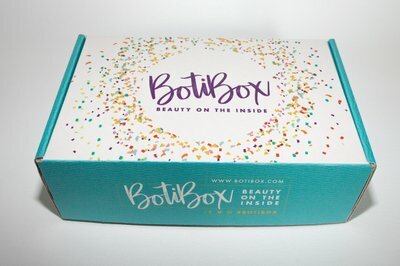 Enter your email address below to receive a notification when BOTI Box starts accepting new sign-ups! 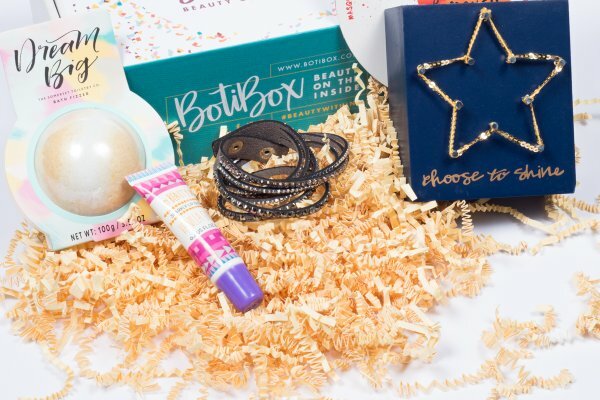 Enter your email address below to receive a notification when BOTI Box is accepting new sign-ups again. 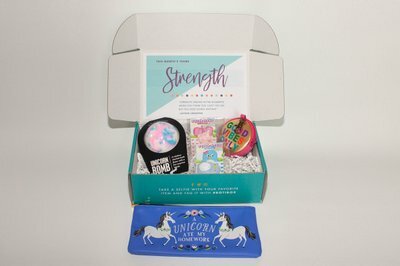 All subscription are shipped on the 4th of every month, so if today is the 4th or after your first subscription box will ship next month on the 4th. 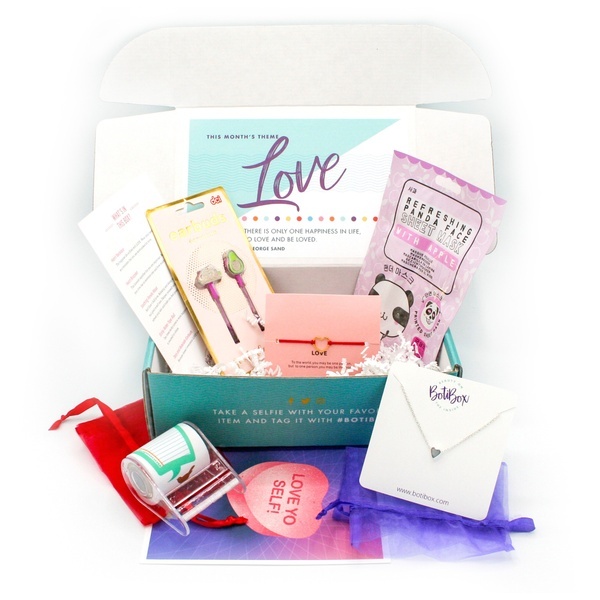 If you need it sooner contact us to see if a past months box might be available. 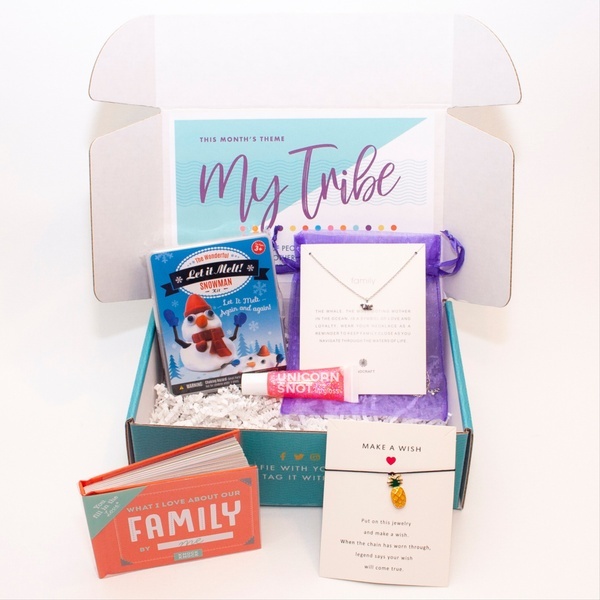 Gift Cards always available, and conveniently priced options to match each subscription level! 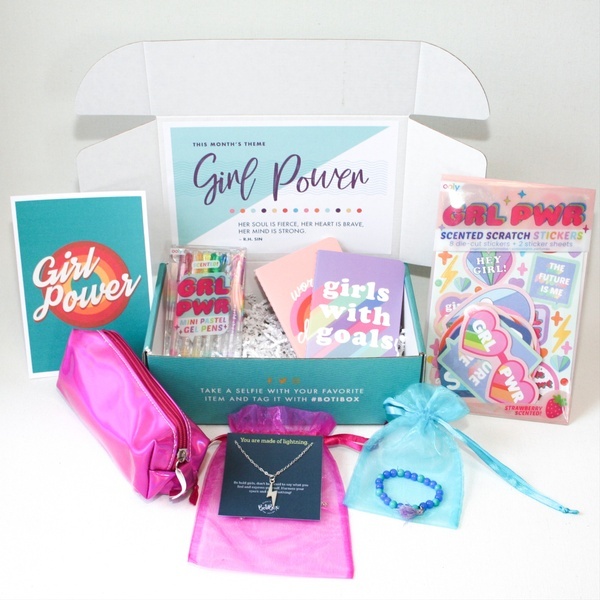 Girls get a positive theme and gifts every month! 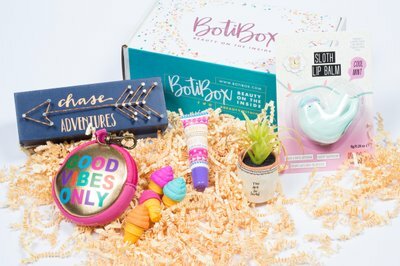 BOTI (Beauty on the Inside) box is the perfect gift for tween girls ages 8-12. 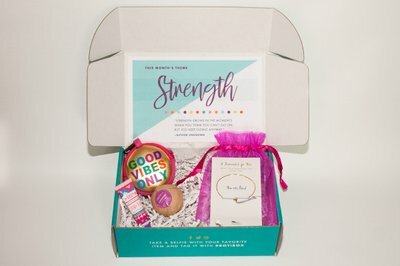 Each month's box brings a new theme of strength and empowerment, accompanied by curated health & beauty products, inspiration, jewelry and fun stuff to support that theme. 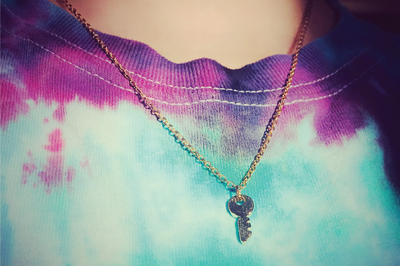 A great gift for your daughter, niece, or a friend. 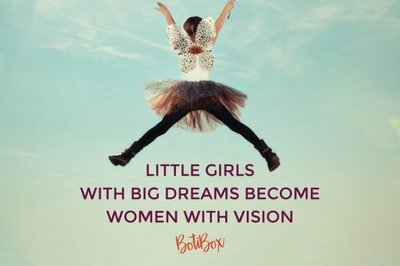 Support her inner beauty! 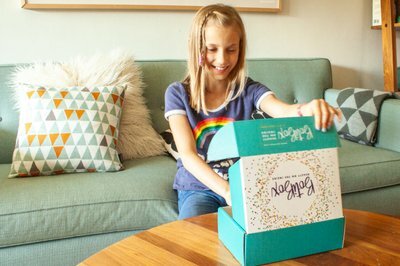 Unique and original, professionally curated and hard to find gifts for girls 8-12, she'll be watching the mailbox in anticipation! 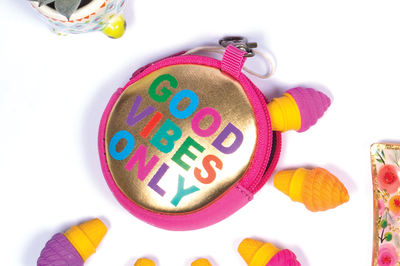 The perfect gift for young girls age 8-12, a fun way to discover new products and instill good values at the same time! 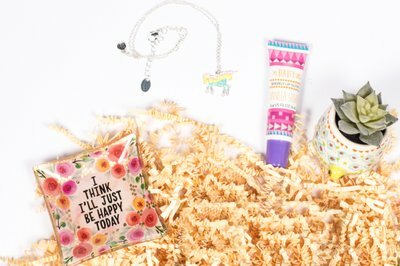 Heart art, silver heart necklace, heart bracelet, facial mask, unicorn lip gloss, sticky notes tape roll and taco/avacado earbud headphones!